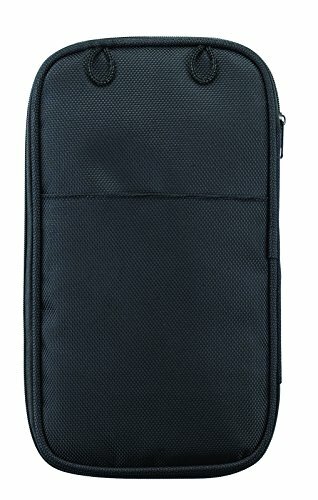 How Does the Lewis N. Clark Luggage Rfid Document Organizer Stack Up? 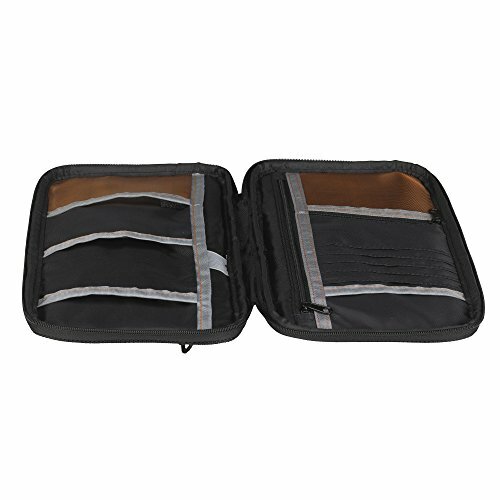 This is one of the cheapest travel organizers on the market and really, the components used on the wallet back this up. 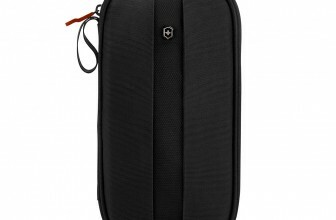 The material although light-weight, has quite a cheap feel to it and the zippers don’t look or feel sturdy. Also, the slots for the cards are just too big. Because the material is slippery, cards will fall out of their slots when the organizer is tilted or tipped upside down. This can be a problem if you’re moving around too much or transferring between bags. 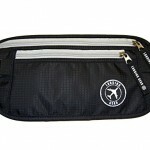 This particular travel organizer is a zip around clam shell style. The wallet size is a little large, coming in at 9.5 x 5.5 x 1 inches. 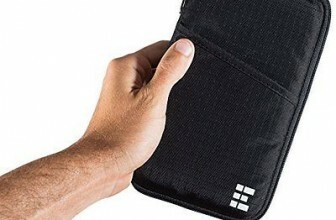 The materials used however are quite thin and light-weight and even water resistant. 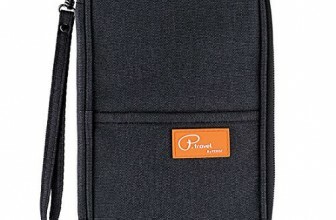 The organizer opens up to several pockets and compartments on each side. 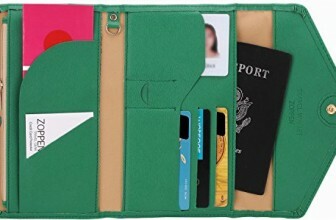 On the left side there are 6 slots for cards, a horizontal zippered mesh change pocket and a vertical zippered compartment for currency and other documents. 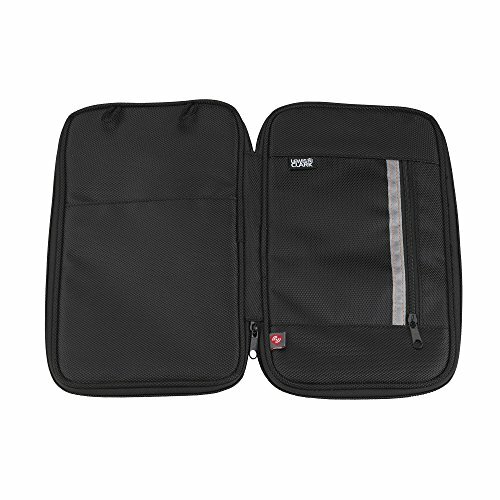 On the right side you have a pen holder, a larger vertical velcroed compartment to easily access documents, three equally sized horizontal pockets and a mesh pocket at the bottom similar to the zippered pocket on the left but without the zip. 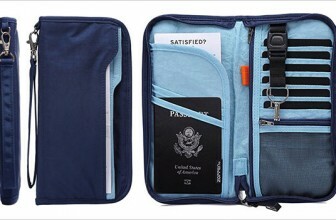 The outside of the organizer also has a zippered compartment big enough for a passport. All in all, it’s a smart use of space. 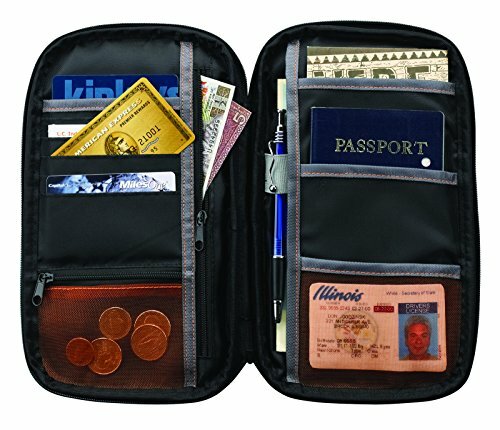 The Lewis N. Clark Luggage Rfid Document Organizer easily fits multiple passports, currencies, boarding passes, change and cards. 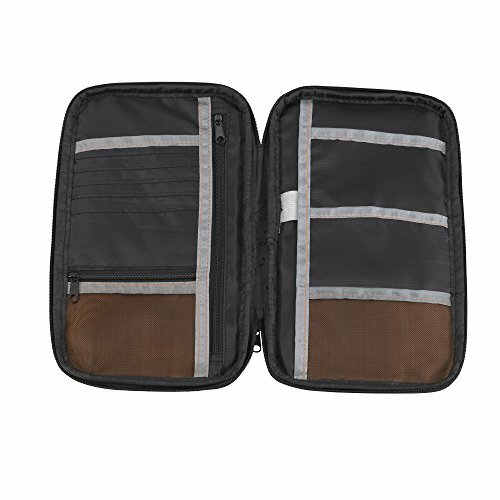 Three times folded standard paper will fit in either of the biggest pockets on each side and you could fit just about any sized smart phone in there with ease. Check out other Lewis N. Clark products on Amazon here. 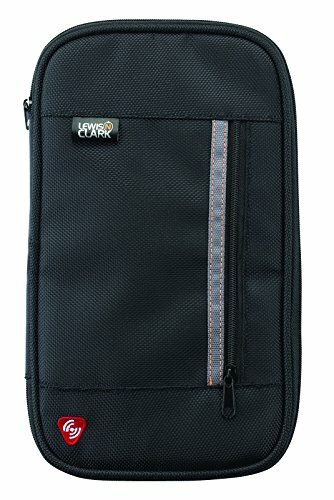 The Lewis N. Clark Luggage Rfid Document Organizer is about as good as you're going to get for the price. While the design of the organizer is logical and spacious enough for most of your travel vitals, try not to tip it upside down when full or you'll lose your cards! Ideal for light travel.